This stainless steel knife is perfect for use in moist environments where rust is a concern. With a positive slide lock, built-in pocket clip/blade snapper, and slim design, it's a popular choice with professionals. Features a stainless steel blade channel that holds blade tight. 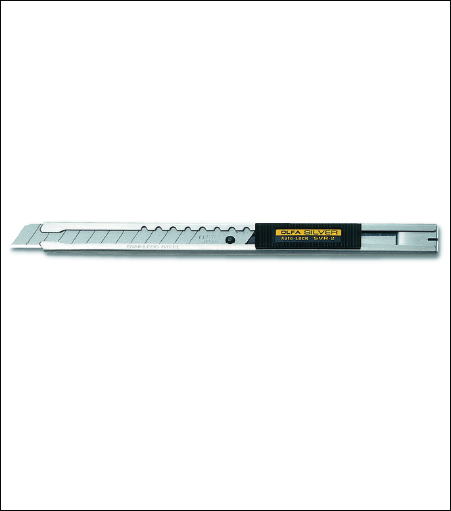 Includes highest grade carbon tool steel snap-off blade - a new sharp edge with each snap. Easy, tool-free blade change for convenience.